0.29 what does that mean? #259 Story Book on Scribl! A group of employees of Sanctuary Medical Services are hiking across the Galician landscape, accompanying Major Callum Strachan an amputee from the war in Afghanistan and his helper Corporal Alice Jones, who was with him at the time of his accident. 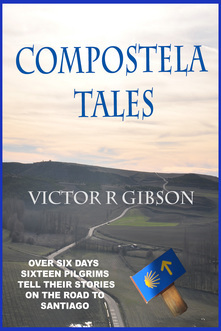 Their objective is to reach the city of Santiago de la Compostela and their progress is being recorded by a journalist who is issuing daily press releases, often enhanced by photographs of the corporal against her better judgement. To pass the time the reluctant pilgrims tell stories in the way of The Canterbury Tales. The stories address such modern topics as spying, hostage taking, sexual harassment, TV talent shows, the expenses scandal and more. Victor Gibson is a former ship captain and technical author. He has written a number of short stories two of which have won prizes and has authored plays, addressing aspects of modern life, which have been publicly performed in Madrid where he now lives. 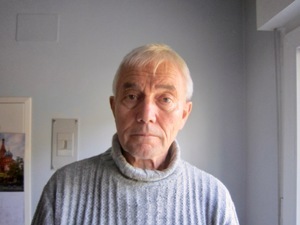 He has also written three novels, writes film reviews at www.review2view.com and commentates on marine events at www.shipsandoil.co.uk .